This July (and a bit), I am joining the Plastic-free July Challenge and going plastic-free; trying to refuse what I don't need, reduce what I do need, and reuse what I consume. If you remember, last week I wasn’t feeling so great about this Plastic-free July thing. I couldn’t really comprehend what the effect of me refusing to buy spinach in a plastic bag was in the larger scheme of things. Going plastic free is somewhat inconvenient; it requires tactful planning of your time, your shopping, and your meals. I’m not particularly good at this, nor my lifestyle is very accommodating. 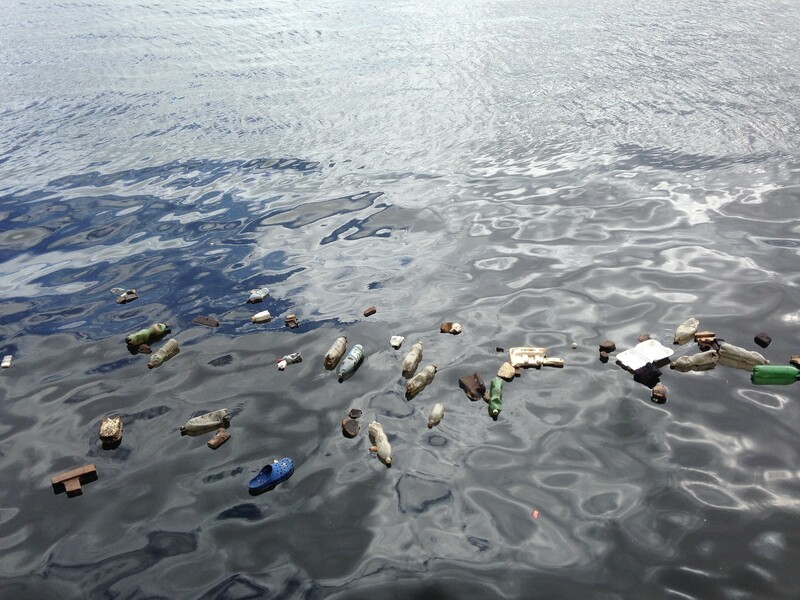 Taking the time to take a step back and see how I think about and react to things was a benefit of the Plastic-free July challenge I truly did not expect, but I believe it might be the best thing I got from it so far. So, I took a deep breath and calmed down, I read about other people’s personal experiences with the challenge and realised: I can just do this my own way. I can decide for myself whether my actions are effective enough (for me) to justify the adversity. 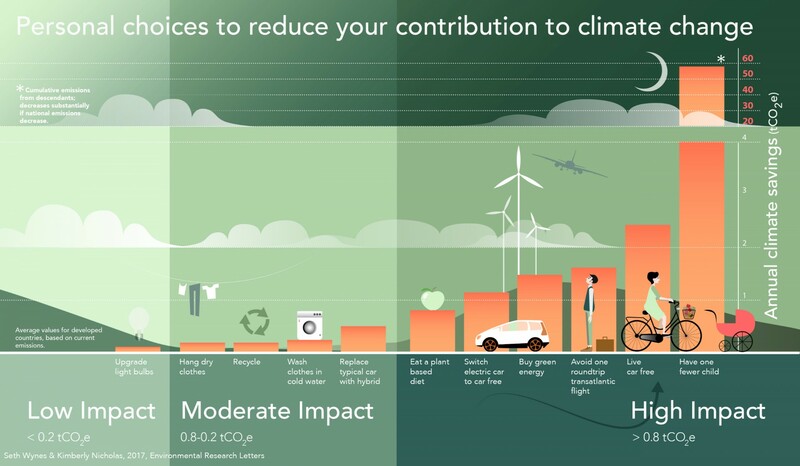 I researched individual actions that make the most impact when it comes to contributing to climate change. Below, is an infographic that explains it quite well. Click to see in detail. As you can see, living plastic-free didn’t make the list, and even recycling has a moderate impact. If I look at my life through this infographic, I’ve already incorporated all six of the highest impact choices into my life. But this doesn’t mean I’m all set now; in fact, that would be doing the exact type of behaviour I criticise hypes like plastic-free and no-straw for. It would be self-licensing, congratulating myself so hard on the things I already do that I am blind to the rest. What I think is important to take from this is that instead of blindly jumping on the bandwagon, or blindly refusing something like a rebellious teenager, we need to think about the impact of our actions in the wider context. Living plastic-free is surely better than wrapping everything you own in cling wrap, but is driving 50 km to the bulk store better than walking to the shop nearby and buying your legumes in their plastic bags? Do you really need to order that 60 pack of paper straws from Amazon? How do they get to your house? In what circumstances they get made? What resources does their production require? So for the rest of the challenge, this is the approach I’m taking. I will live plastic-free as long as what I'm doing doesn't take away from more impactful actions or negate them. I’ll happily keep using my reusable water bottle, carry my groceries in cloth bags, and be on the lookout for plastic wrapping when I can avoid it. But I’m not taking the bus to go to a bulk store when I can just walk to the nearest supermarket and avoid carbon emissions; I'm not buying a soda maker to make my own fizzy drinks when I can donate that money (they're expensive!) to worthwhile causes. I think, doing this my own way and taking the time to think about the larger impact of my actions, I can incorporate living plastic-free into my lifestyle and continue doing it even after the challenge ends.